After writing my manual for the ABCmini and ABCmaxi boards, Austrol requested that I write the documentation for their new microcontroller board, the Mitsmini. 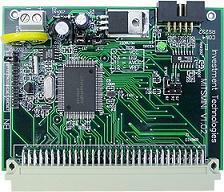 Based on the Mitsubishi M30624FGMFP microcontroller, my payment for the project was the board itself free of charge. Requiring a lot of hard work, I attempted to approach the project from a more professional manner than I had while writing my previous (informal) manual. While not formal in language, I attempted to maintain a ridged document structure.